You are here: Home / Help / Why won’t my dog come when I call? 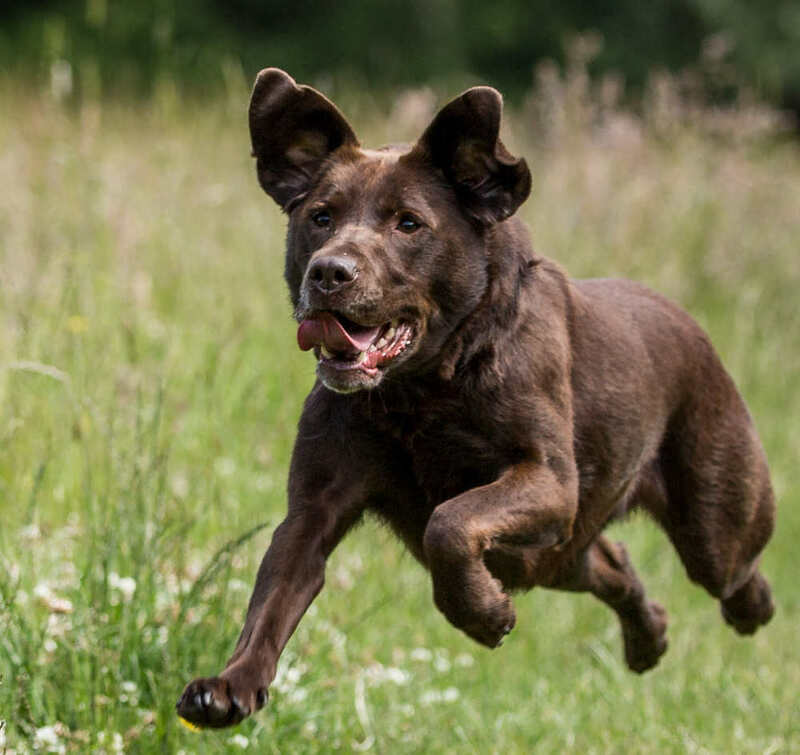 A dog that races towards you when you whistle or call is a great joy. A dog that ignores you and does as he pleases, is no fun to take out and is a danger to himself. 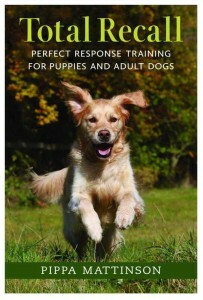 Recall is one of the two key safety skills that all dogs need. Obviously, you need to teach your dog to come when he is called, but what is the best way to do it? Maintain the power of your cue. It all sounds quite straightforward, doesn’t it. So why do so many people fail to get past stage three of this all important skill? Many people can get their dog to respond to a basic recall cue, at home or in the garden (though sometimes not even there). But it all falls down when they are faced with all the distractions that take place outdoors in the real world. Some dogs are very ‘dog-friendly’ and cannot be recalled away from other dogs. Some dogs reserve their enthusiasm for other people, even to the extent of trying to get into a total stranger’s car. Is it me? Or the dog? People that own a dog like this, cannot figure out how to get around the problem, partly because they see it as a problem with the dog, rather than with their training. Whereas in fact, this kind of issue is simply a failure to complete, or even attempt, stage four of the training process. The stage that we call proofing. Hands up! Who proofed their recall? For every dog owner that thoroughly proofs their recall cue, I would guess there are at least ten others that fail to proof the cue successfully, and probably a hundred others that don’t even try! Is it any wonder that many dogs have a poor recall? The truth is, it is a wonder that so many dogs do come, most of the time, when they are called. A testament to their good nature and their bond with their owner. Why are we not proofing our recalls? There are probably two main reasons that people don’t proof their recall cue. The second is – proofing is a pain in the backside. Yes, that’s right. It isn’t just you that thinks proofing is dull. It is. What is more, it’s inconvenient. The answer is that proofing is not easy to set up and requires the help and participation of other people. This is true for many skills, but especially for recall. You cannot teach your dog to recall away from other dogs without practicing recalling away from other dogs. You cannot teach your dog to recall away from kids playing ball games, without recalling him away from kids playing ball games. How many people actually acknowledge this. Never mind bother to do it. The problem is, practicing training in scenarios that involve other people, is a bit of a big deal. It means you have to arrange help. And it means potential for embarrassment. And anyway, how are you supposed to practice something that your dog just won’t do? How can you practice calling him away from another dog if he just won’t listen? Fortunately there are ways to get control of the situation. The answer involves ‘setting the dog up’ using fake training scenarios and helpers. This is where your mates come in handy. There are no ways to get around the effort you will need to put in. But it is possible to make it achievable and even fun. And you’ll need to add each level of difficulty in gradual stages and in such a way that you can control the rewards available to the dog. Practice until you get it right. Then move on to the next stage. Always being ready to go back a step if you have moved on too quickly. And making sure you don’t give your dog chance to learn the wrong behaviours. Is your dog learning to be naughty? Rewards reinforce behaviour. That just means that any behaviour followed by a reward is likely to be repeated by the dog in the future. Dogs repeat behaviours that are beneficial to them. What this means for you is that any time your dog ignores your recall and gets a reward, ignoring your recall is reinforced and becomes a learned behaviour. You may not be giving your dog a reward, but if he is ignoring your recall he is certainly getting one. Think about what that might be. The truth is that there are rewards all around your dog. Rewards like running around with the wind in his ears, playing with other dogs, chasing butterflies, or eating rabbit poop. These and many other rewards are available to the dog that ignores the recall whistle. And your job is to stop him getting them. Getting back in control of your dog means getting back in control of his rewards. Not just the rewards you provide him with, but all the other rewards available to him when he ignores you. If you need to train with a line, you need to do so for several weeks if not months. Recall training can take a long time if the dog has been allowed to abscond on a regular basis. Success in training means controlling rewards. This includes giving rewards at the right time, and even more importantly, preventing access to rewards after bad behaviour. It isn’t always easy to get this right, but there are no shortcuts. It has to be done. Recall training is actually a lot of fun, once you have come to terms with what is involved and relaxed about how long it can take. Training amongst distractions will often mean putting the dog on a long line until he is so well rehearsed in this particular skill (and at this particular level) that he can perform it standing on his head. It’s suitable for puppies and adult dogs. And uses force free methods to help you get a great recall with your dog.